Shopping for men's gifts is one of the hardest shopping assignments there is. But when my twin nephews celebrated a milestone birthday recently, I knew exactly what to give them: a set of resin coasters featuring some of their favourite alcoholic beverages. If you find yourself with that male gift shopping dilemma (and with Christmas fast approaching, who doesn't? 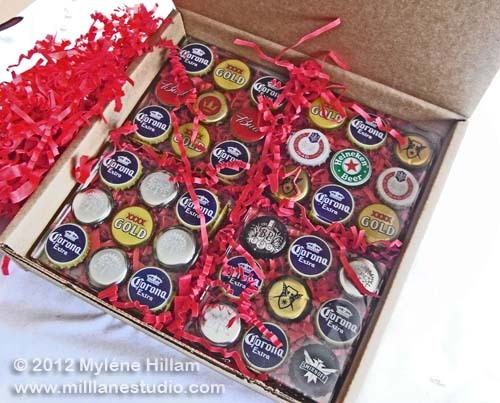 ), then why not consider making your own set of coasters to give to the beer loving men in your life. 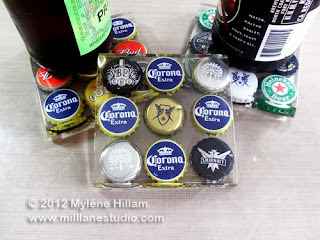 If you're the hands on type of person who would like to make your own mancave coasters, you can now buy the Beer Bottle Cap Resin Coaster kit and have the fun of doing it yourself. 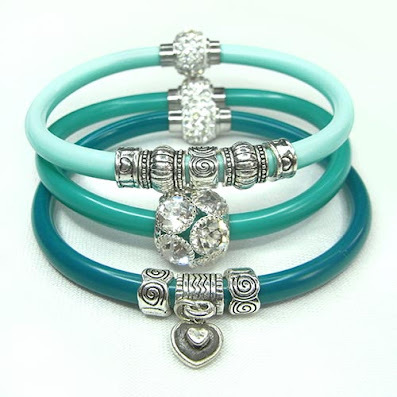 Or if you want a set but don't want to make your own, I'll make them for you! Just send me an email. 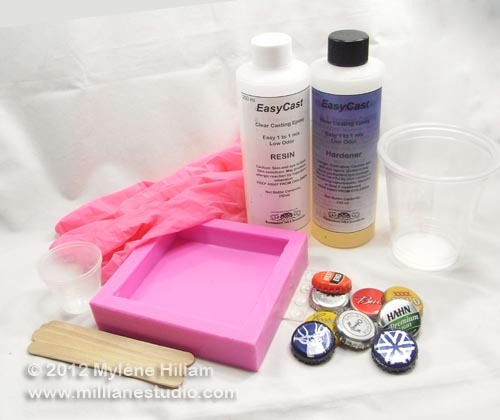 if you're in Australia, your kit will also include an epoxy resin kit, measuring and mixing cups, stirrers and latex gloves. Sorry, but I can't ship resin internationally. Kits cost $40 without resin, $75 with 200ml resin or $85 for 500ml resin. The 500ml kit has enough resin to make 4 coasters - you just add your own bottle caps. 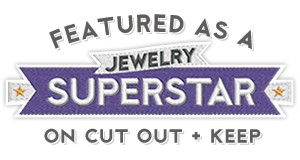 Visit my website and purchase a kit for yourself or wrap it up and give it to the man who loves to make things for himself. I'm sure he'll enjoy collecting the bottlecaps for himself!